Mr. Fantastic and I took a short road-trip this weekend to see our niece for her second birthday. Those are important! 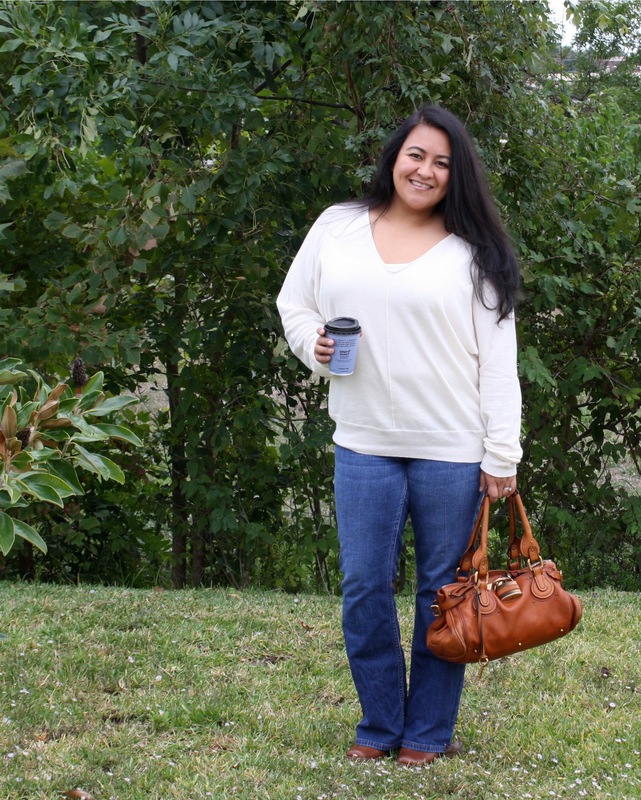 For a 3-4 hour road trip, I went for comfort over glamour and opted for jeans, a sweater and boots. I know that designer jeans are all the rage and I've even indulged in a couple of pairs, but there is a reason that Levi's remain the classic jeans. This pair is one of my favorites. 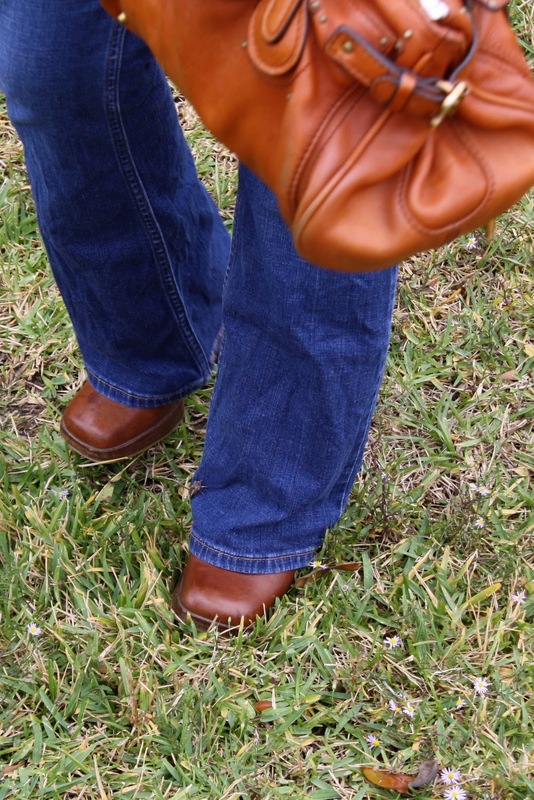 I love the color, the lower rise and the boot cut leg. 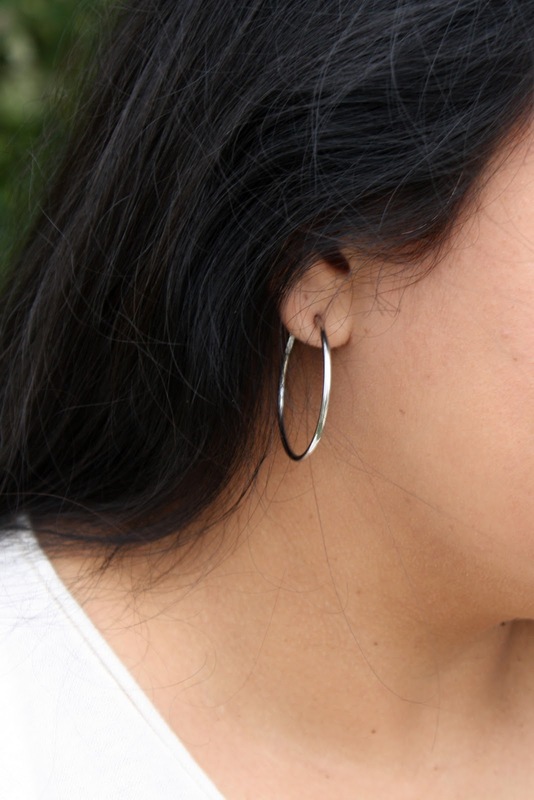 I also like these classic silver hoop earrings. 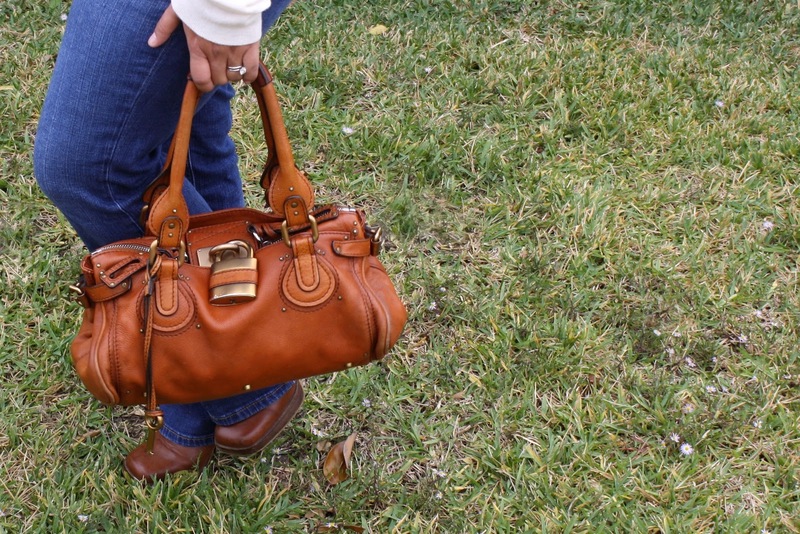 For the trip, I took my Chloe handbag because I can carry so much in it! I threw in my makeup bag in here instead of tossing it in my suitcase because my makeup always melts in the trunk. For the party, I carried the extra lens for my camera in here. This is the perfect color bag and I've never regretted the color choice for a handbag that I certainly consider an investment piece. I had the option of this whiskey color or a bright lavender. A couple of friends told me to go for the fun color, but I've never regretted playing it safe with this purse. These Candie's boots have been around my closet for a very long time. I don't even think Candie's are cool these days, but I've had these boots for a long time and they are super comfortable, which is always a plus when you are traveling. It was great to see family, but we are in the middle of what we call our "crazy season" and it was great to get back home, too.